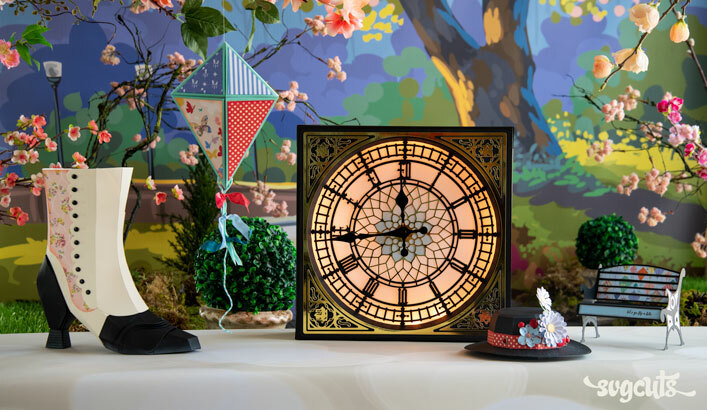 Create a festive, spectacular July celebration! 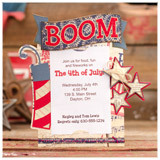 Invite a couple friends over for The Fourth and make it extra-special with a cute little invitation! Have fun using all kinds of embellishments and sparkles and glitter on any of these projects! 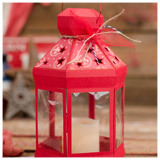 You'll love the wow-factor Lantern, which lights up with an electronic LED candle. It's useful for so much more than just Americana themes! 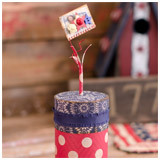 Create the Firecracker and use it for so many other projects as well (as a cylinder-shaped container). 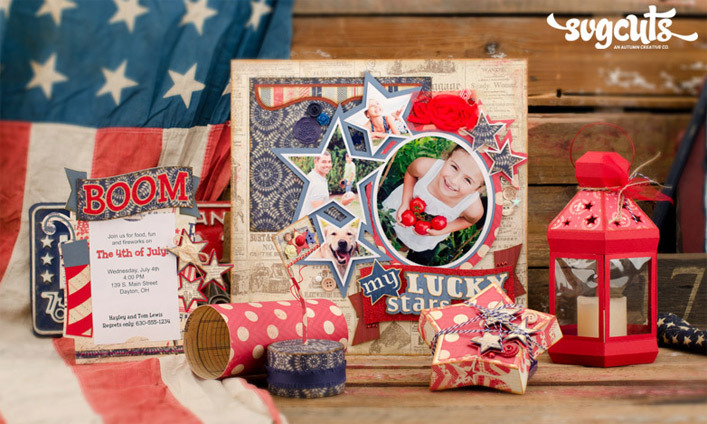 Put some goodies in the cute, flat Star-Shaped Box and make an extra-special Scrapbook Page with minimal effort (your machine even cuts your photos for you)! 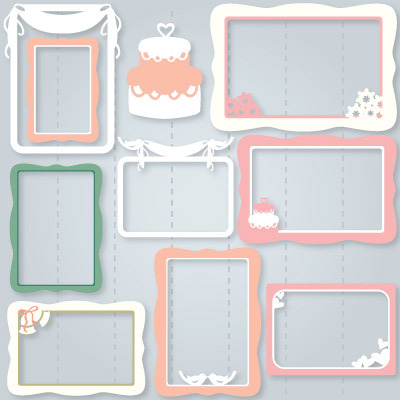 The invitation measures about 8x8" and uses a printed piece of paper trimmed to 3.5x5" as an insert. The Firecracker measures about 3x3x6" and the Lantern is about 8" tall and uses one 8.5x11" piece of clear plastic (use a page protector from the office supply store). 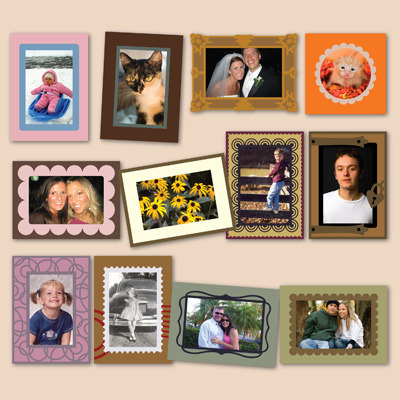 The Scrapbook Page is 12x12 and uses one 5x7 photo and three 4x6 photos. 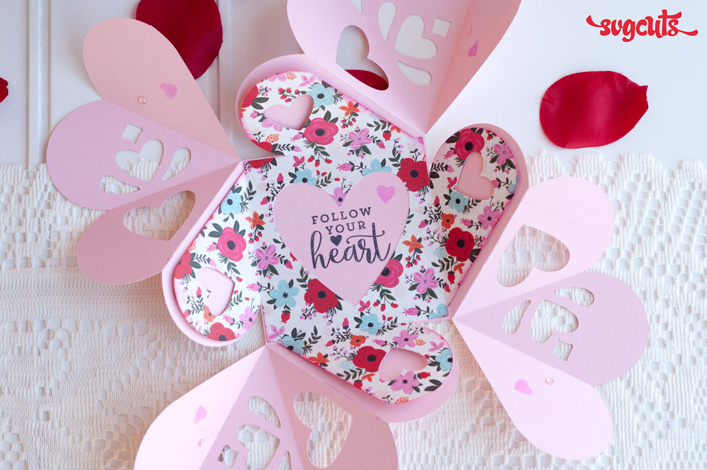 The oval and star-shaped photos on the scrapbook page can be easily cut using your cutting machine (instructions included in your download and in this project's how-to video). 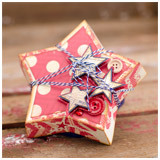 The Star-Shaped Box is about 5.5x5.5x1." Compatible with Sure Cuts a Lot version 2.0, 3.0, eCAL, Make-The-Cut, Silhouette Studio Designer Edition. 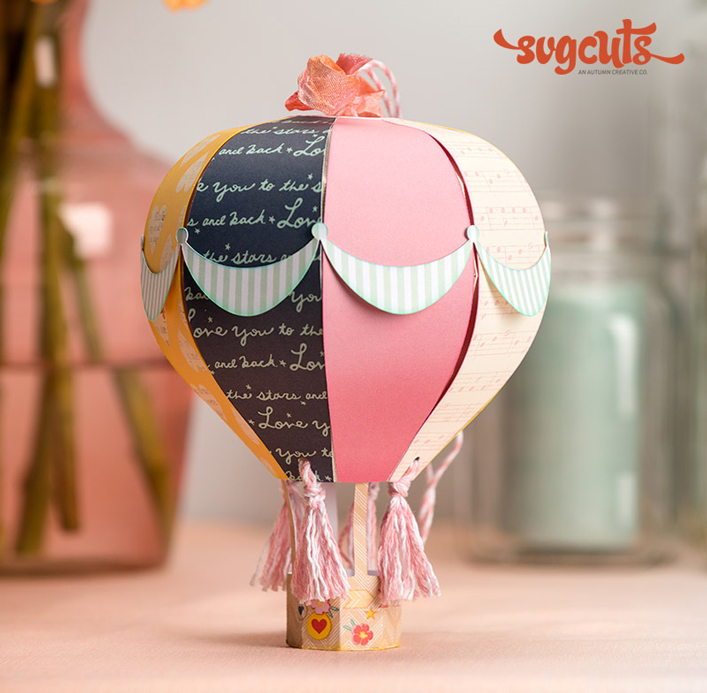 Works with all cutting mat sizes, except for the scrapbook page and invitation, which are both too large to fit on a 12x6 mat.